This week another super saving idea … Think of this as an IRA on steroids – due to high limits and ample flexibility! There are certain limitation and restrictions as mentioned, so don’t just make a contribution unless you are sure it will work for you … or just reach out to us! Have a Great “SEP” Tax Savings Day! 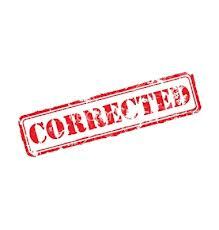 The second round of corrected 1099’s have come and gone and we had none. With three more corrected rounds in the next weeks, it is possible we may have some in the future, however we feel that is highly unlikely, based on prior years experiences. Go forth and file/complete your taxes! Next Friday is good Friday. Capital Markets as well as our offices will be closed … giving us a bit of extra time to work on the Newsletter and prepare for the tax rush, as well as spending time with family and friends. Ahhhh … but that is next week, today is a Friday, heading into a weekend. Do not forget to spend time with those special in your life, if not possible this weekend, make plans to do so next week!